This is bespoke product suitable for lubricating large chains without the need for a compressed air supply. The motion lube device injects lubricant directly into the bearing areas of the chain - prolonging the life of the chain. Energy efficiency help and advice. Breakdown service is as always with Motion Industrial Products at the forefront of our business and you can rest assured that once you have given us a job, it will be supplied quickly and efficiently minimising your crucial downtime. We offer AC electric motors as well as DC drives and combined Motor/Inverter piggy back drives. 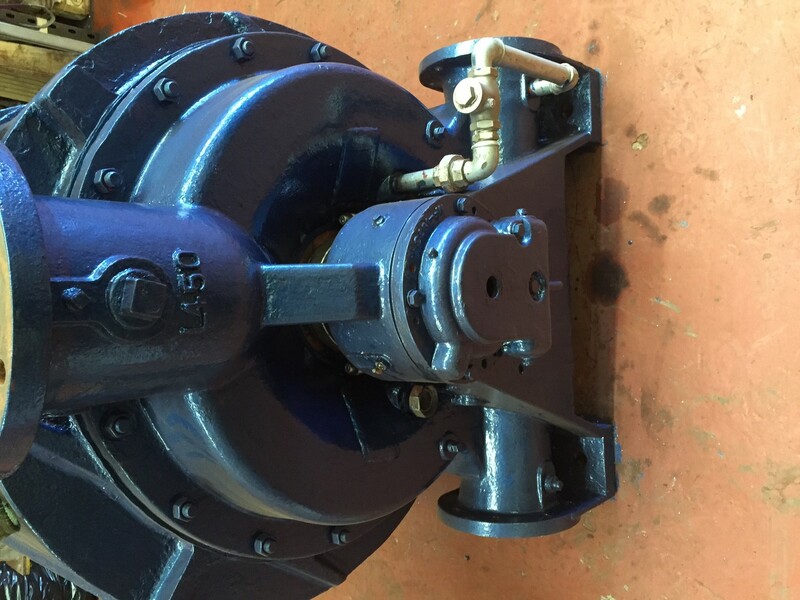 Stock for AC motors is usually available up to 315Kw the same day and we can offer Electric Motors from stock in either 2 pole (3,000RPM), 4 pole (1500RPM), 6 pole (1,000RPM) or even 8 pole (750RPM) variants whether they be foot mounted, flange mounted, face mounted or a mixture of each in all frame sizes. Electric Motors can be supplied in aluminum, Cast Iron, Stainless steel or Mild Steel. Food industry Motors, Quarry Motors, Theme Park Motors, Braked or unbraked. We offer Electric Motors from world leading manufacturers such as ABB, Brook Crompton, Siemens, Marrelli etc… as well as less expensive such as Amtecs, CMG, TEC, Electro adda type ranges. Single phase motors are used primarily in small workshops and farms with a domestic supply. Some industrial equipment are specifically for use with a single phase electricity supply, such as fans, blowers, centrifugal pumps and high pressure washers. The W cast iron motor range covers products with outputs from as little as 0.75kW to 400kW in frame sizes 80 to 355L. They are suitable for use within a diverse range of applications from food and drink to china clay production. From roller table drives to refrigeration. Many applications often have adverse operating conditions including repeated starting and occasional overloading; the W cast iron range is well suited to these situations. A virtual go anywhere motor, this cast iron range has a full 3-year guarantee. The W aluminum range covers products with outputs from as little as 0.07kW to 22kW in frame sizes WU-DA63S to WU-DA180L, in either 2,4,6 or 8 pole speeds. salt-laden or sulphuric acid) and the fact that aluminum is approximately one third the weight of cast iron. According to the European Regulation No 640/2009, all electric motors with rated power between 7.5kW and 375kW installed from 01/01/2015 must have an energy efficiency level of IE3, or IE2 installed with a variable speed drive (Inverter). Up to and including 0.55kW are to be a minimum of IE1 Standard Efficiency. 0.75kW up to and including 5.5kW are to be a minimum of IE2 High Efficiency. 7.5kW up to and including 375kW are to be a minimum of IE3 Premium Efficiency. Efficiency ratings are only applicable to 2, 4, 6 pole single speed three phase motors rated at S1 duty. Motors falling outside of this category tend to be: Single Phase motors, Brake Motors, Atex Motors, High Ambient Temperature, and motors other than S1 duty rating.